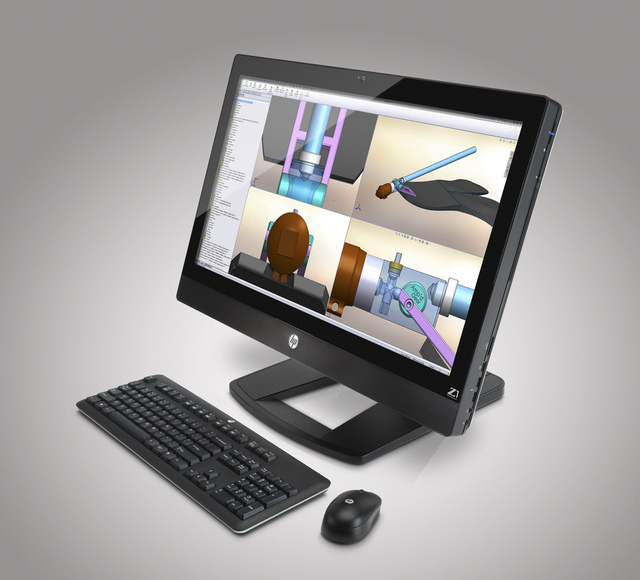 HP today unveiled the world’s first all-in-one workstation with a 68.6 cm (27”) diagonal display. Built for computer-aided design, digital media, entertainment, architects, education and independent professionals, the HP Z1 provides blazingly fast rendering and performance. It offers a full range of workstation-class graphics cards and processors, and is thoroughly tested and certified to work with today’s leading industry applications. Whether it’s an engineer creating 3-D components, an architect designing buildings, a videographer editing event footage or photographer finishing photo shots, the HP Z1 gives creative professionals the power they need to bring ideas to life faster. We saw this excellent chart from Horace Dediu retweeted by Techmeme today. 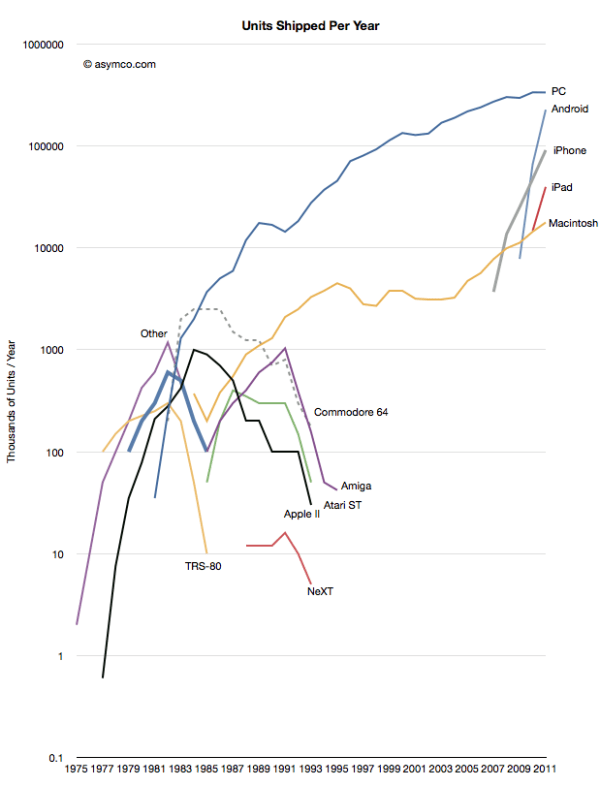 It shows PC sales, including Android and iOS devices, from the dawn of time to today. As you can see, PC sales have started to go flat. Based on recent numbers from last quarter, they may have already hit their peak. Meanwhile, Macs are gaining steady momentum while Android and iOS devices are blowing up. One thing that could break the trend: We’re still interested to see what this chart looks like about six months from now once all those fancy new Ultrabooks we saw at CES finally hit the market. Those could give PC sales a major boost considering how cheap and efficient they are.